Although Canterbury does not have many mineral resources, some places such as Birdlings Flat, south of Banks Peninsula, are popular among rockhounds. The beach is rich in gemstones, particularly agates, which are sought-after for making jewellery. 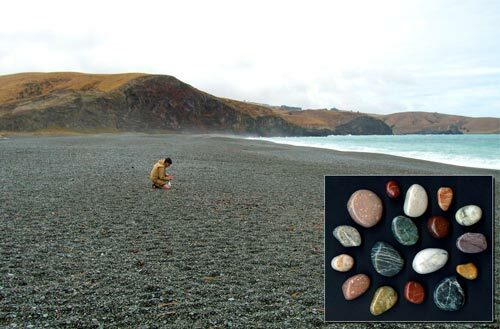 Inset are polished gemstones from Birdlings Flat: greywacke (grey), quartz (white), volcanic pebbles (pinkish brown), and jasper (reddish brown).